2016-17 Statistics: 32 GP, 19 G, 40 A, 59 PTS. OHL Central Scouting says: Ryan is one of the most skilled players in this year’s Priority Selection. He is the type of player that makes everyone around him better. Ryan is an unselfish player that sees the ice better than most in this age group. He makes plays that a lot of people don’t see developing from the stands and his passes are usually tape-to-tape. He is a good skater with the ability to beat players off the rush. He is dangerous every time he is on the ice. Ryan will be an offensive force in the OHL. 2016-17 Statistics: 33 GP, 14 G, 21 A, 35 PTS. 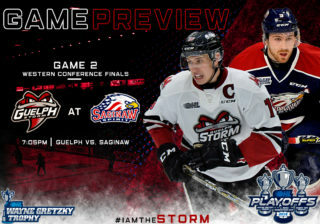 OHL Central Scouting says: Ethan is a prototypical power forward. He has very good size with a powerful stride that allows him to reach top speed quickly. He goes up and down his wing crashing and banging into everything. Ethan creates room for his linemates and goes to the net hard for rebounds and loose pucks. He is a complete player that takes care of his own end and is relied on in all key situations. There isn’t a hit that he turns away from. He competes hard for loose pucks and forechecks effectively. 2016-17 Statistics: 32 GP, 24 G, 16 A, 40 PTS. 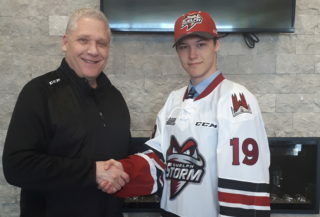 OHL Central Scouting says: Jamieson is one of the elite players in this year’s Priority Selection. He is a skilled center that is dangerous every time he has the puck on his stick. He is a good skater with deceptive speed and he always manages to win races to loose pucks. He is dangerous off the rush with his speed and uses elusive one-on-one moves and great vision to make plays. Jamieson makes all the players around him better. He shoots the puck very well with a quick release and can pick corners with accuracy. 2016-17 Statistics: 41 GP, 32 G, 33 A, 65 PTS. 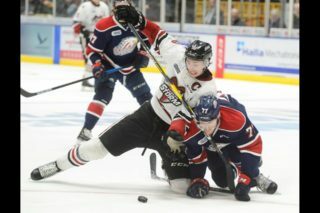 OHL Central Scouting says: Blake is a big centre that has the ability to take over a game when he wants to. He is a powerful skater that is explosive off the mark. He has the ability to beat defenders wide with speed and takes the puck to the net with authority. Blake makes the players around him better and is a constant threat on the ice. He shoots the puck extremely well and isn’t afraid to use his shot. He’s the type of big centreman that any coach would love to have and if he continues to develop he will be a dominant player at the next level. 2016-17 Statistics: 33 GP, 5 G, 19 A, 24 PTS. OHL Central Scouting says: A Syracuse, New York product, Thomas is a big defenceman that has a presence when he is on the ice. He is a fluid skater with good mobility which he uses to beat forecheckers and move the puck up the ice. He loves to have the puck on his stick and he has the skill to make difficult plays look easy. His game really took off in the second half of the season when his team had numerous injuries and he was relied on heavily to carry the load. He has a heavy shot and is always looking to get the puck to the net. 2016-17 Statistics: 44 GP, 14 G, 33 A, 47 PTS. OHL Central Scouting says: Alexandre is one of the most highly skilled defencemen in this year’s Priority Selection. He loves to have the puck on his stick and makes things happen when he has it. Alexandre is a creative puck mover who is dangerous on the power play. His great vision and passing ability allows him to find teammates and thread passes through tight spaces. He is never afraid to join the rush and try to create plays in the offensive zone. He is a very smart player with a great understanding of the offensive side of the game. 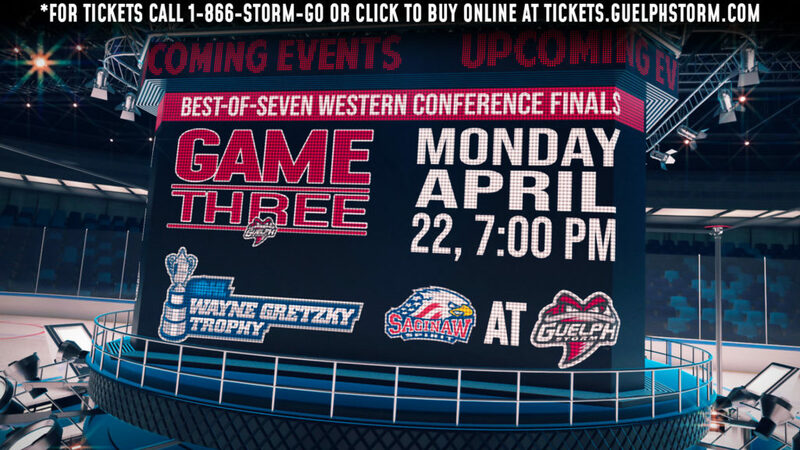 OHL Central Scouting says: A North Bay, Ont. native, Zach played tremendously down the stretch for the Nationals, helping lead them to the OHL Cup Final where he made 38 saves in a strong performance. Zach is a positionally sound goaltender that makes up for his lack of size with quick lateral movement. He knows how to control his rebounds and came back strong for an injury that he suffered mid-season. The consistency in his game increased as the season wore on and he finished the year playing his best hockey.